Oxfam Trust is a new Indian organisation working on international relief and development as part of Oxfam International. Oxfam brings together the vast anti-poverty experience of India with the global fight against poverty and injustice. Oxfam was born in Britain out of one of the biggest global disasters of the last millennium-World War II. Set us as the Oxford Committee for famine Relief in 1942 to combat the postwar relief needs of Europe, Oxfam International – now consisting of 12 affiliates in four continents – has emerged a world leader in helping people cope with emergencies and in promoting sustainable development. The Oxfam family benefits from a shared knowledge base Learning and constant improvements are the keys to continuing success. Oxfam’s presence in India is almost as old as India itself. Oxfam GB first entered India in 1950 as a British Charity responding to the Bihar droughts of 1951 and 1965. Since then, Oxfam affiliates from countries such as Australia, Belgium, America, Spain and Hong Kong have also supported grassroots development activities and community response to disasters. Over time, the work of various Oxfam International members has grown to include a focus on gender equity, access to basic rights of the marginalised, campaigning for equitable terms of trade between rich and poor countries, health and education. With India’s immense resources and ingenuity, it is felt that India is in a position to address its own developmental challenges. Its knowledge, development experience, and growing economic strength provide India the capacity to solve problems and to share its abilities and strengths with the needy in other parts of the world as well. For the reason, a new India Oxfam has been established by Oxfam International. Oxfam works with others in fighting poverty and injustice around the world, through effective, appropriate and enduring solutions. i) The ability to cope with emergencies and disasters. ii) Women empowered and free from violence. iii) Access to quality education and health facilities. iv) Sustainable management of the environment. v) Fairer access to trade ad markets. The Oxfam Trust in India supports the work of Oxfam in Bihar, Jharkhand, Rajasthan, Uttar Pradesh, M.P., Chhattisgarh, Maharashtra, Gujarat and selected district of W.Bengal, Orissa and Andhra Pradesh and elsewhere in the world, responding to relief needs. > Fighting Poverty: This is Oxfam’s primary concern, since it is the single largest debilitating factor in people’s lives, fighting poverty involves establishing poor people’s rights and ensuring their access to natural and productive resources. Locally, we improve livelihoods and support initiatives in basic education, micro-credit, and self-help groups. At national and international levels, we look at policies and structural causes of poverty, and define initiatives that could benefit large sections of society. > Emergencies and Disasters (preparedness and Response) : With experience of more than 60 years in responding to emergencies and disasters, Oxfam’s response is swift and pointed, ranging from relief to long-term rehabilitation. Oxfam’s approach is responsive to community needs and to the special needs of women and children. Oxfam GB has in house expertise in setting up emergency water supply systems, in organising medical supplies and in trauma management. pressure can help achieve this change, (visit v/ww.marketradefair.com to find out more). > Women’s Empowerment: Women still face economic and social discrimination. Increasing violence against women is an indicator of inferior social status. With an integrated gender focus in all its activities, Oxfam supports grassroots initiatives and policy interventions to promote the rights of women living in poverty. These are aimed at empowering women through awareness raising, organising and building access to assets, livelihoods, health and education. > Education: At Oxfam, education is addressed in the framework of it being a fundamental right of every child. Oxfam also supports school programs in primary education for drop-outs and non-starter children – mainly girls – from families living in poverty. Projects are selected for innovativeness., low cost, effective management and ability to ensure high success rates. > Natural Resource Management: Oxfam’s support extends to community-based efforts in scientific management of natural resources aimed at improving the long term well-being of communities. Our program seeks to support and strengthen grassroots initiatives in ecological regeneration, self-management and community control of natural resources. The issue of food security is intrinsic to good natural resource management. Large tracts of Central India, extending from Bihar to Gujarat to Rajasthan and Madhya Pradesh are vulnerable to inadequate food security. Oxfam is committed to addressing this injustice, which threatens the very right to life. 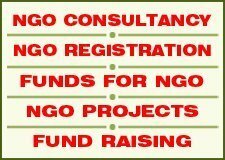 The NGO/VO applying to Oxfam Trust should have at least 3 years of registration, proven track record of success in the sector and advocacy focus. 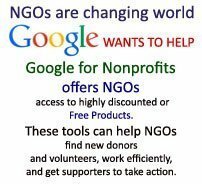 Generally Oxfam Trust give grants and supports to local initiatives.